Work, play and connect anywhere with the ultimate solutions in computing mobility. Experience all the power of a laptop and all the convenience of a tablet with convertible 2-in-1s. A 2-in-1 laptop combines the features and functionality of a traditional laptop and traditional tablet into one device. Does it make sense for your personal and professional needs? This growing market offers innovative features for users – learn how to choose the right one. Tablet PCs provide the ultimate in mobility, allowing you to stay productive anywhere. Tablet computers are lightweight and portable, and their easy-to-use touch screens make them ideal for students and road warriors alike. Today's tablets for business offer a variety of operating systems to choose from such as iOS, Android, Blackberry and Windows. Tablet computers make staying connected easy! Use your tablet PC as an e-reader, to check e-mail, browse the Web, share files and photos, give multimedia presentations and more. Shop top-selling brands like Acer, Apple, ASUS, Fujitsu, HP, Lenovo, Panasonic, Samsung and Toshiba. Ready to join the mobility revolution? Let CDW help you transform your workspace with a digital workspace solution. 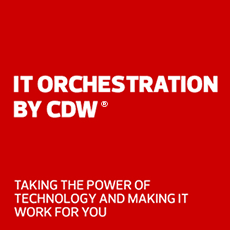 Speak with a CDW tablet expert for additional assistance.